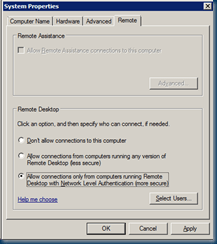 As you may know windows 2008R2 Is using a more secure connection But by default the RDP connection is turned off. 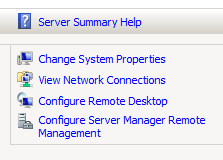 You can use a less secure connection to support XP but the better way is use Network Level Authentication ( NLA ) But Where to set this option? 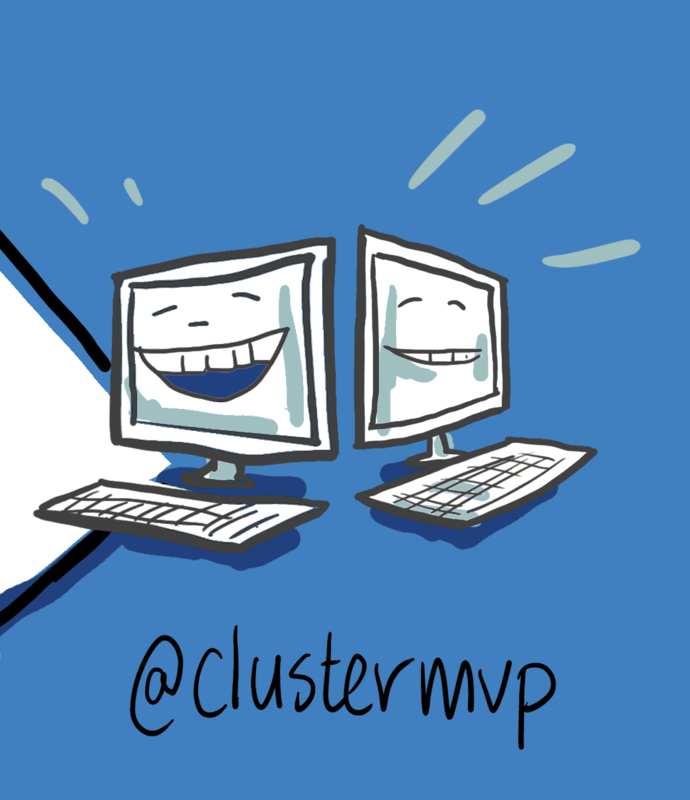 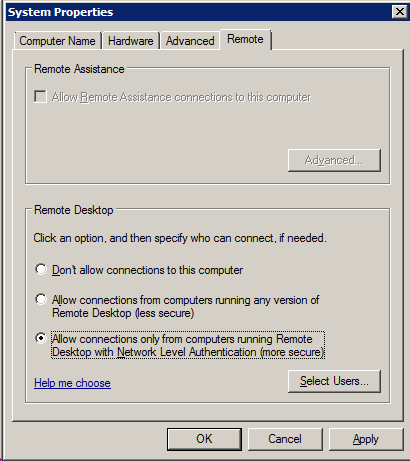 Go to the server manager and check the computer Choose Configure Remote Desktop. 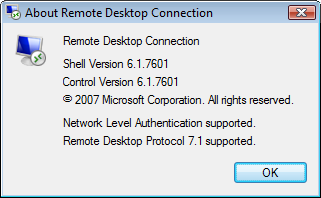 Yeb that is By design In Windows ( eXtra Prehistoric) Network Level Authentication ( NLA ) is turned off by default. 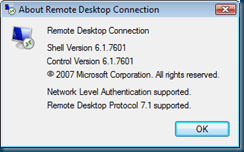 You should use windows 7 or follow the steps below. By default, CredSSP is turned off in Windows XP SP3 , To turn it on here is the key. 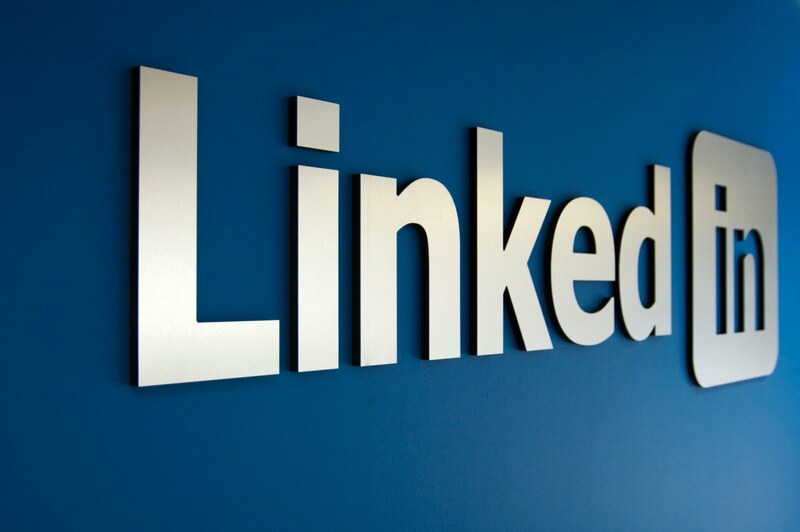 Credential Security Support Provider (CredSSP) in Windows XP Service Pack 3 (SP3).